Osteopathy is often the treatment of choice for athletes, dancers, sports people as well as the general public. This is because it deals directly with the tissues that are causing discomfort without the use of pain-killing drugs. 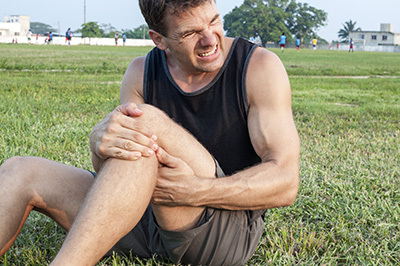 Treatment involves physically manipulating the injured muscles, ligaments and tendons. If the pain persists for longer than three days, it is important for your Osteopath to assess it and give you a diagnosis and treatment plan. Your Osteopath will then be able to advise you as to the level of exercise and training your body will be able to cope with whilst you are receiving treatment. If any changes are needed in the way you work or train you will be advised accordingly. Once the pain has been assessed and treated, regular exercise (even gentle exercise) can help restore good muscle tone.